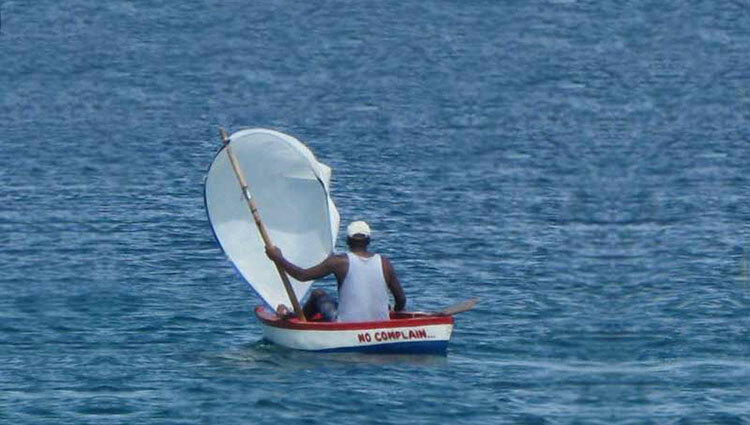 we offer a full range of Learn to Sail opportunities at our Antigua sailing school. As an established American Sailing Association Sailing facility, we offer the ASA 101, 103 and 104 courses and Certification. If you are new to sailing, why not set sail with one of our Instructors to see if you have a love of sailing? or family and set sail with your Instructor. The yacht is yours for your trip! You will then experience and explore the many different anchorages of Antigua, sleeping and dining on board; or eating ashore at one of the many restaurants. You return to the marina on your last day of the sailing vacation. If you’ve always wanted to find out if you would enjoy a sailing vacation, why not take our Discover Sailing, 2 night sailing course. Here you will experience life at sea; sleeping on board in your own cabin, preparing meals on board whilst learning the basics of sailing. The charter fees vary depending on the time of year and the available fleet at time of booking. and stamped so that any charter or rental fleet operator can see your level of competency. Over the course of a week you will learn to sail, gaining the knowledge and experience to charter sailboats anywhere in the world. The goal is to enjoy a learning vacation while you learn to sail. Starting on the first day, a boat brief a chat about previous experience and of course a safety brief. Starting to work as a race crew, if necessary back to basics, gradually through the week, spinnaker handling and looking for a volunteer foredeck hand! Practicing Dip pole gybes, and watching the times improve around various courses. Racing rules, start timing and procedure, including tactics, local wind conditions. Its all really at the pace of the crew, there still time for a lunch on the beach and a swim. Prerequisites for ASA 101 Certification: It is advised that you should be able to sail a boat of about 20 feet or more in length in light to moderate winds and sea conditions in familiar waters without supervision. A preparatory Standard with no auxiliary power or navigation skills required. Prerequisites for ASA 103 Certification: Basic Keelboat Sailing Certification Sailors must cruise safely in local and regional waters as both skipper and crew on an auxiliary powered sailboat of about 20 to 30 feet in length, in moderate winds and sea conditions. Prerequisites for ASA 104 Certification: Basic Keelboat Sailing and Basic Coastal Cruising Certification: an advanced cruising Standard for individuals with cruising experience. The individual can act as skipper or crew of a 30 – 50 foot boat sailing by day in coastal waters. The Standard includes knowledge of boat systems and maintenance procedures. All rights reserved Copyright © SunbeatYachting.com Antigua.